Big enough for the front seat? This evening as I was turning in the driveway with Clare in the car, she asked if she could sit in the front seat while I pulled the car into the garage. This was one of those little moments that I knew would totally make her day; so I let her sit in the front seat. She instructed me to buckle her in and then lifted her head as high as she could to try and see out the front window as we pulled in the garage. Talk about a smile! Me: “Well, kids can’t sit in the front seat until they’re 8 years old.” I then told her that her older cousins don’t yet sit in the front seat (hoping that would make her feel better). Clare: “Green” She then rolled over and went to sleep. What goes through a toddler’s mind truly amazes me. Since turning 3, every single day she has a new word, new sentence and new expression. Each day I’m taken aback and reminded how quickly they really do grow up. Before I forget this moment tonight, I wanted to be sure it got written down. Cannot wait to see what tomorrow brings. In the early morning hours beginning about 10 days ago, I began hearing the pleasant sounds of birds chirping outside the windows. Ahhh, Springtime is near I thought to myself. I was delighted to see soft pink flowering trees as I drove through town last Wednesday and then on Thursday the temperature outside peaked to 63 degrees. The splendor of the approaching season was slowly awakening. Oh yes…Springtime is indeed near! Not so fast, said Mother Nature as she insisted we not forget the beauty of winter. So, within a few short hours from that mid-60 degree day (Spring Fever, Baby! ); fluffy snow flakes began to fall from the sky. And they continued to fall into the night on Friday until we awoke on Saturday to an amazingly peaceful setting. 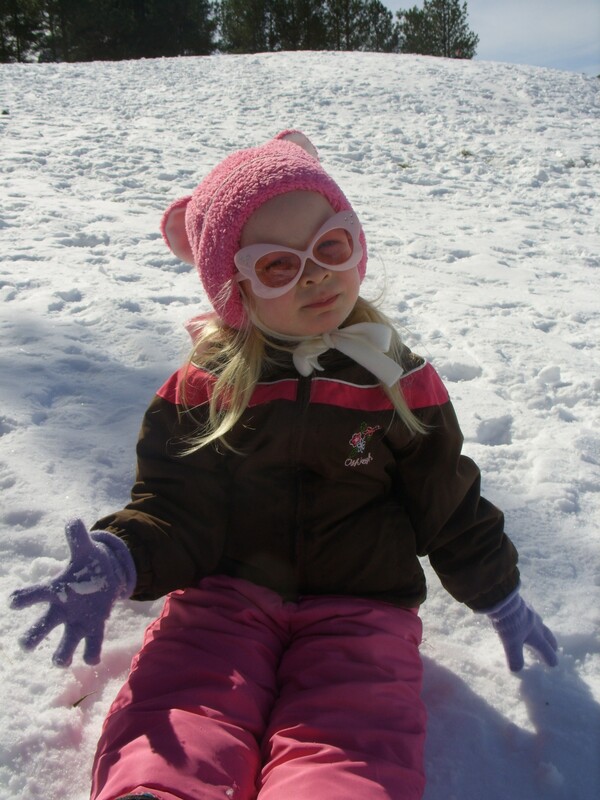 Clare exclaimed, Mommy…It’s just like at Nanny Neill’s house…snow! 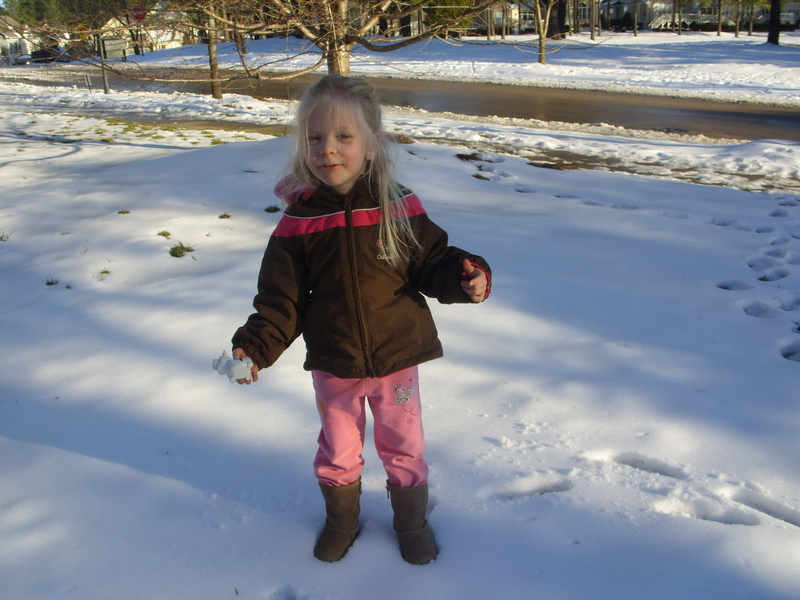 She had enjoyed fresh powder during our visit to Pennsylvania over New Year’s so she was thrilled to see that “white stuff” once again. 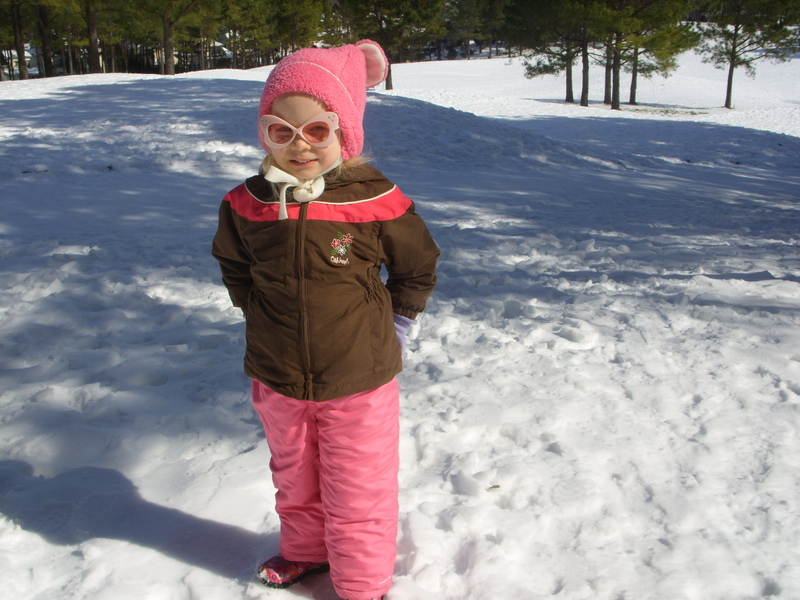 Robert got Clare geared up to frolic in the snow and they headed out together while I savored an hour of “me” time. Clare came back in with the rosiest of cheeks and a smile as wide as the ocean. She LOVES the snow! Clearly a nap was not going to happen this Saturday (big surprise!). 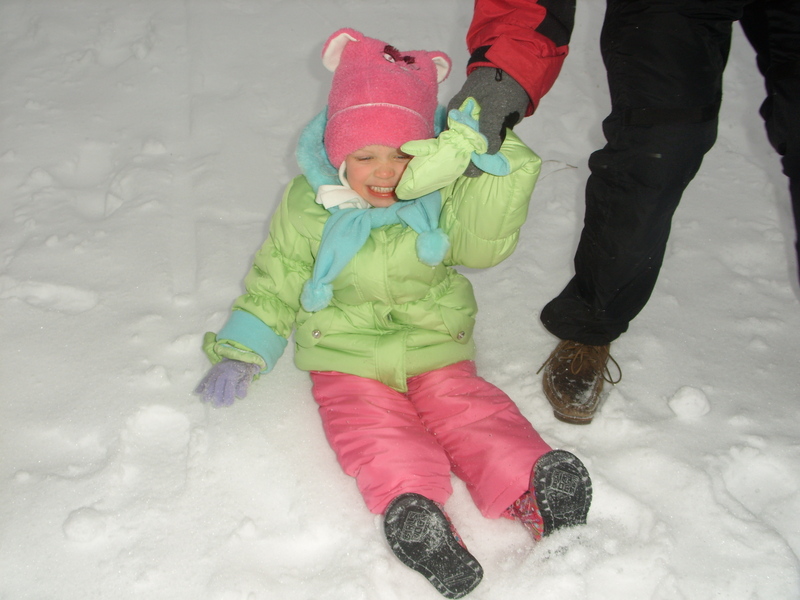 So…the three of us headed out after lunch and thoroughly enjoyed the Snow Day!